We are a fully Licensed, Insured and bond-able bathroom renovation company. The bathroom is one of the most personal of all the rooms in your house. The main focus in your bathroom renovation is to create a look and a feel that shows your own individual flair. The staff at All Pro Bath and Kitchen have worked with homeowners for over 25 years. We have hundreds of bathroom designs and ideas to help turn your bathroom into an reality. We use quality materials that provide you with lasting reliability and value. We employ only professional craftsmen and tradesmen who take pride in their work. We will give your bathroom the individual attention it requires to make sure it's done exactly as you planned. Remember that a bathroom renovation is also one of the best ways to increase the value of your home. We will present you with a free detailed quote and references are available upon request. We pride ourselves on always delivering complete customer satisfaction. We offer courteous and timely bathroom renovations at competitive prices. All Pro Bath and Kitchen's great reputation and years of bathroom renovations allows for most of our jobs to come from happy satisfied customer referrals. We offer custom fitted 6 mil. and 10 mil. 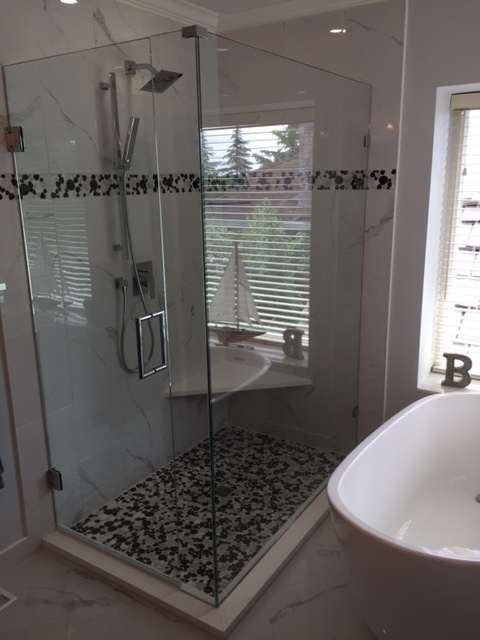 glass shower and bathtub enclosures. - 6 mil. doors and panels are custom fitted come in a variety of frame finishes. They are competitively priced and offer many features that other do not. - 10 mil. FRAME-LESS custom fitted doors and panels offer easy cleaning. 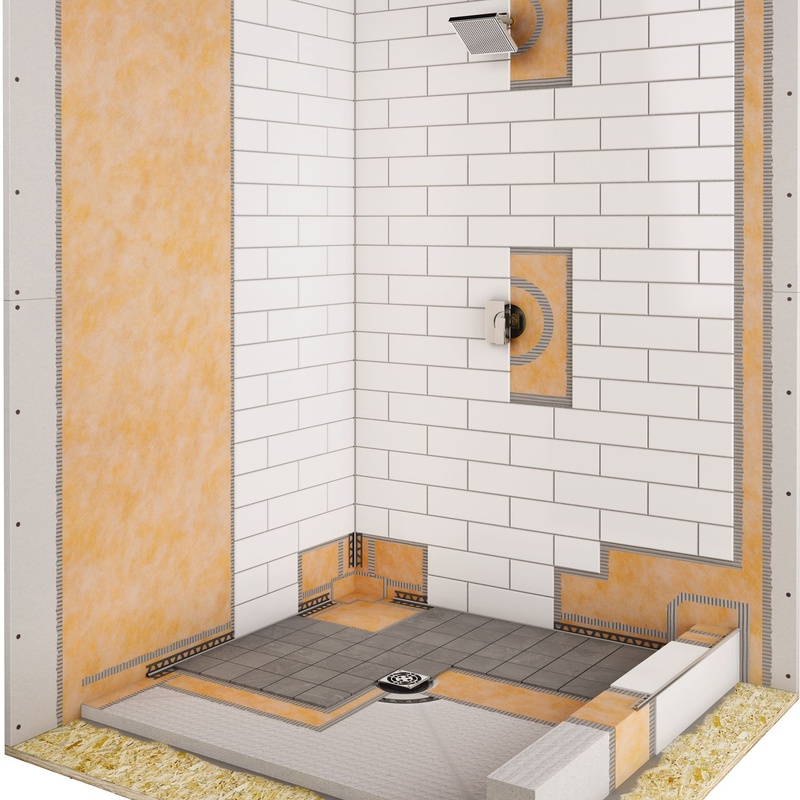 They will give your bathroom a clean modern look and show off your new tile work. Contrary to popular belief, tile and grout joints (even sealed grout joints) are not completely water proof.